Synopsis: Loving Patience, what it is, its psychology, many benefits, disadvantages, the dynamics of impatience and ways to develop greater Loving Patience are very helpfully presented here starting with an ancient Indian teaching tale truth. An Ancient and Crucial Truth! To journey together in love, we have to walk at the slowest person’s pace. That is what the Dakota medicine woman’s campfire tale taught one night before we guest scouts retired to our tepees when I was an impulsive youth. This ancient, tribal wisdom is just as true today as it was then. It echoes Paul’s first of 16 tenets on love – Love Is Patient. In Paul’s ancient, biblical Greek it is “He agape makrothumia” which includes the concept that love is repeatedly forbearing of others and their frustrating ways. 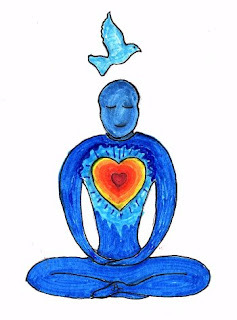 Versions of this truth can be found throughout the teachings of various world religions and more positive philosophies. “Impatience shows no love, “If patience is absent, real love may be absent too” and “With patience, love withers not” are examples of sundry, sage’s precepts I have encountered. Patience is the ability to calmly wait while enduring ongoing, negative stimuli. Loving Patience is the ability to calmly wait while remaining loving (good-natured, kind, helpful, tolerant, accepting, non-judgmental, etc.) in the face of the slow, tedious, frustrating, annoying, aggravating, disappointing and/or unloving behaviors of others, or even of one’s self. I think the best thing psychologists have discovered about patience is that it is obtainable by those who attempt to acquire it. It also is teachable to trainable pets and children who have reached certain stages of development. This mostly is accomplished by using positive rewards and reinforcements for incrementally increased waiting. Studies suggests patience comes in three forms. The first is Interpersonal Patience which has to do with calmly dealing with others who are unhappy, upset, angry or in other ways exhibiting negative and unwanted behavior. The second can be called Severe Situational Patience which has to do with calmly dealing with life’s more arduous and ongoing hardships, setbacks and difficult situations. The third can be termed Annoyance Patience. This has to do with the ability to take-in-stride life’s more minor annoyances, irritations, delays, diversions, distractions, worries, hurts, hampering events, nuisances, harassments, vexations, etc..
To learn more about all this and the psychology of patience, I recommend checking out the Association for Psychological Science (APS) reports on patience studies. All three types of patience have to do with what is sometimes called owning one’s power and not giving it away, being proactive more than reactive, and remaining inner and self-directed instead of other and outer directed. Those, in turn, have a great deal to do with healthy self-love (see “Self-Love and Its Five Healthy Functions”). Practicing Loving Patience is an immense help to the health, well-being, improvement and fulfillment of love relationships of every type. Perhaps that is why Paul put it first in his list of real love’s characteristics. In a love relationship, practicing patience can build empathy and that, in turn, decreases interpersonal hassles while communicating acceptance and non-judgmentalism of a loved one or one’s self. Patience often leads to long-range understanding and a fuller comprehension of what to do about disharmony. Plus, it aids in the development of general positivity. Patience, well demonstrated, helps block other’s misinterpreting you as angry or upset at them when you actually are being only concentrated, serious, worried, concerned, etc. Showing loving patience helps others identify you as a person not to fear, avoid, manipulate or keep secrets from. Therefore, Loving Patience assists people to be authentic and more fully self disclosing in a love relationship. Demonstrating impatience can greatly harm and even ruin what would otherwise be loving and bonding, interpersonal, good experiences. Repeated demonstrations of impatience may increasingly turn people against you, exclude you, or subconsciously passive/aggressively attack you. Showing love through patience when someone is not functioning as you would wish may take longer and reach fulfillment later than you expected. However that assists in developing higher and greater, mutual, team functioning and achievement along with increased emotional closeness, plus the likelihood of return patience when you need it. Loving Patience is often wonderful for avoiding intolerant and destructive sudden reactions, incomplete understandings, wrong conclusions, mistaken impressions and impulsive anti-loving habit behaviors. In every type of love relationship, Loving Patience is much more likely to lead to more constructive, accurate, comprehensive and harmonious interactions than is impatience. For all concerned, having Loving Patience is far more healthy than impatience and its accompanying stress illness dangers. Patient people usually live healthier, longer and happier than impatient people. Most of all, they tend to have much better and longer, lasting, love relationships. To learn more about love and health, check out Love and Survival by Dr. Dean Ornish. In interpersonal impatience, one person wants one or more other people to change to operating at their own rate and/or in their manner of behaving. It is, therefore, an imposition of one’s own standards on another. Acting impatient often sends a message of “do things my way, not yours”. It also can be a communication of “you’re operating in a way that is inferior to mine” and “my ways are more important than yours”. Relationally, it frequently is disharmonious and can have a strong emotional divisive effect. None of this is loving, democratic or as pragmatic as simply lovingly requesting someone to change something more to your liking, such as “hurry up a bit please”, “I’d like you to try doing something in an alternate way if that’s okay with you”. Impatience often has a short-term gain and long-term loss, interpersonal dynamic. If being impatient gets other people to do what you want more immediately, that is the short-term gain. If it makes them resent you and act against you when they can, that is the greater and longer-term loss. Like all things human, even Loving Patience is not perfect. Having patience at the wrong time or for too long may lead to missed opportunities, too slow a reaction to a crisis and being misidentified as uncaring, indecisive and unassertive. Worst of all, you may, through patience, accidentally reward and, therefore, reinforce some bad behavior. Patient people also can be more targeted for deception and manipulation by the sociopathic. Learning to calm yourself while waiting longer and longer is the essence of practicing and developing patience. Learning to make patience loving, requires loving thinking and loving self-talk while you practice the behavior of positive waiting. Positive waiting requires breathing slowly and deeply, purposefully relaxing tense muscles as you also focus on being loving to yourself and whoever else is involved (see “From Self-Love to Other Love and Back Again”). If worry or fear has triggered impatience, reassuring self-talk and distraction actions usually are helpful. Becoming more mindful and self-aware of what you let trigger your impatience also can be quite useful. Purposefully spotting when, where and why you are impatient and choosing those times to practice more Loving Patience is often hard but necessary. Talking all this over with those you love (children included) to see if they will reveal their deeper feelings when you are both patient and impatient with them usually helps tremendously. Remembering that two of the 12 major ways to demonstrate love are supported by developing patience. Those two are Toleration Love and Self-Disclosure Love. 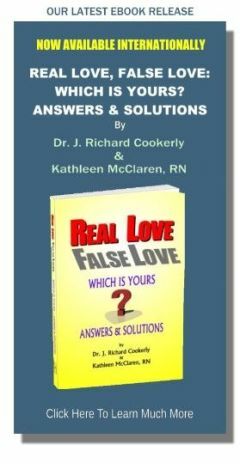 For more on this, check out Chapter 5 (How Do We Grow Intimate Love) in Recovering Love by yours truly. Talking all this over with others can help you and them implant the knowledge and develop it further. When you do that, we would like it if you would mentioned this site and our free subscription service. Thank you. Quotable Question: If we don’t lovingly ask our loved ones to be more patient with us when we desire that, how can we expect them to ever lovingly respond?